Decad’s exhibition programme in the new gallery space will commence with a solo exhibition of work by British filmmaker and writer Christopher Petit. 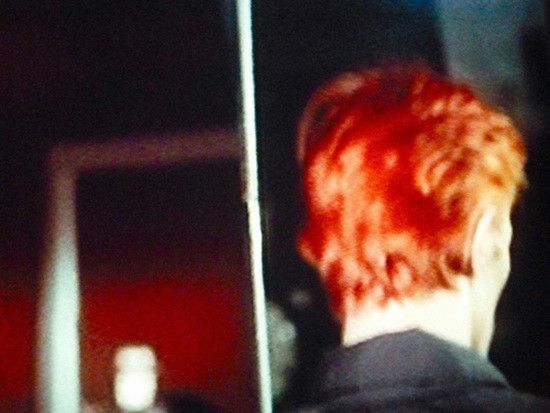 Curated by Louisa Elderton and Jelena Seng, In What's Missing, Is Where Love Has Gone takes as its centre point a hazy image of David Bowie, one in a series of image fragments captured by Petit from different television screens over a number of years. In the late 1970s, David Bowie contributed two tracks to Christopher Petit’s movie Radio On (1979): Heroes/Helden and Always Crashing in the Same Car. It is a film about contemporary technology with one scene prefiguring the future of images and technology through a bank of stacked television screens — preempting the explosion of the image bank via the Internet. The construction of this scene very specifically paid homage to David Bowie’s film The Man Who Fell To Earth (1976) where Bowie sits watching a growing bank of TV monitors. In What's Missing, Is Where Love Has Gone, sees Christopher Petit revisiting The Man Who Fell To Earth to further reflect on Bowie — the icon who underpins Radio On. Creating a new body of work including a sound piece, video, photography and writing, the two films are interwoven, yet something is always missing: Bowie’s face turns away from us, his body is cut out with the equivalent of a black leader, his voice is abstracted. The exhibition is not just a reflection on the mass consumption of imagery today and the subsequent value of not showing, but a very personal response by Petit to the state of our contemporary world — one of bad political hair and blue skies turning to black. A retrospective of Christopher Petit’s films takes place every other Saturday evening at 7pm over the span of the exhibition in Decad’s Hinterhaus lecture space, and a publication of new images and writing by Petit has been produced to accompany the show. Over Gallery Weekend on Saturday 29 April, 3pm, Christopher Petit will be in conversation with artist Christopher Roth, accompanied by a screening of Petit’s JG Ballard documentary and exhibiting personal hand-written letters from Ballard to Petit.